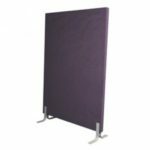 Vista Visuals manufactures all our Whiteboards and Pinboards here in Australia. 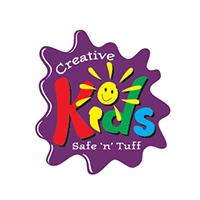 Listed on the "Size Guide" is standard sizes but we can also make sizes to your requirements. Need to be able to move your whiteboard around the room or to another room. 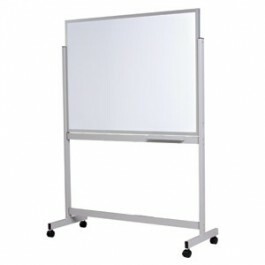 Then a Vista Mobile Whiteboard is just what you need. 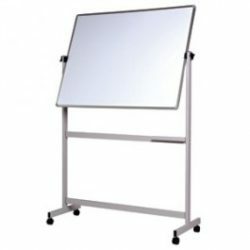 Vista Fixed Mobile Whiteboards are double sided Metallo Trim Whiteboards with mitred corners on a mobile fixed frame. A double sided 300mm pen tray is also included. Choose from either the Porcelain or Commercial surface. The frame colour is Light Grey aluminium with 2 lockable castors. Height of frame: 1500mm. Unit requires assembly on site. NB: Porcelain Boards can be printed or sized to your needs, just contact us. For any Warranty Information give us a call or check our “Warranty Information” guide. 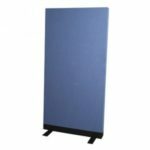 Not sure of the type of whiteboard you need? Refer to our “Which Whiteboard ” guide or check with us.